Absolute Leadership provides best-in-class assessments and coaching certification that facilitate individual leadership, team performance, and business results. Assessment reports cover leadership, management, and teams, providing a solid basis for growth and development. Within about 20 minutes, Absolute assessments can capture and identify critical information in over 40 areas, that could otherwise take several coaching, training or consulting sessions (or in fact may never be identified). This saves clients time and money, leading to much better results for clients in far less time. To find out more, click here. Within about 20 minutes, find out what normally takes hours. Assessment Leadership assessment reports identify over 40 specific leadership areas for individuals to fast-track the growth and development of their leadership capabilities. Absolute Management assessment reports identify over 40 specific areas for individuals to grow and develop their skills as effective managers. Absolute Team assessment reports identify over 40 essential team areas, with a focus on high-performance as a united, single entity. Absolute Organisational Leadership 360 climate surveys are invaluable in assessing the perceptions of employees about leadership culture across a business or organisation. Note: The methodology used in all Absolute assessment profiles is consistent with the methodology advocated by Nobel Prize Winner, Daniel Kahneman, in his best selling book, Thinking Fast and Slow. Leadership is the single most factor impacting Individuals, Teams and Businesses. Powerful motivation begins by understanding values, paradigms, vision, learning to think 'outside the box', and thereby clarifying what really matters and what will make a significant difference. It is said that insanity is 'to keep doing what one has always done and to expect a different result'. Breaking through change barriers and self-limiting myths is essential, as is learning to foresee change and to adapt for the better. Avoiding negative energy traps and harnessing positive energy helps generate positive relationships, productive workplaces, and great outcomes. The vibes that individuals radiate to others and the climate or atmosphere in an organisation are just two examples that reflect energy. Effectively understanding, relating to, and interacting with other people at all levels is the basis of influence. Some of the tools of influence include the ability to resolve conflicts, empowerment of oneself and of others, assertiveness, and communications. The alignment of individuals, teams, networks, plus business units and functions across an organisation to common purposes is vital to success. Doing so requires the necessary tools and skills. Without alignment, people will often be at cross purposes with each other. 'Whatever is not measured is not achieved'. Ongoing feedback is just one aspect critical for a realistic assessment of progress and the necessary steps to achieve better outcomes. There is really only one underlying reason why teams do not function as well as they can, being that the personal interests and agendas of individuals within a team conflict with the interests of the team as a single unit. Absolute Team profiles assess a team as one entity, identifying the critical elements necessary for high-performance. For that reason, Absolute Team profiles do not focus on identifying the particular roles of individuals which may simply inhibit team unity and functioning. Instead, Absolute profiles take a much more pragmatic and effective approach by focusing on the entire team as 'one'. The challenge is to have team members think and act as one united entity, rather than as a collection of disunited individuals often in competition against each other and against the team itself. If you want your team to be effective and high-performing, then an Absolute Team assessment is an essential starting point. Either accreditation offers you industry leading inclusions and value. There are NO ANNUAL RENEWAL FEES, plus NO REQUIREMENT to purchase minimum numbers of assessments. You can START training anytime, and become certified within a matter of just weeks. Plus, take advantage of our exclusive Professional Practice Business Builder program, or our 5 Marketing Magnets for a Successful Coaching Business program. Both programs can help you to build your professional coaching practice or business based upon proven strategies. 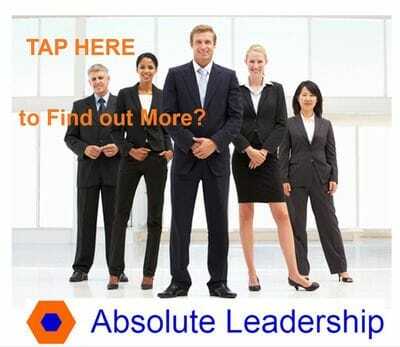 The focus of Absolute Leadership is the growth and development of clients, made possible by a proven system that includes world leading assessment tools, assessment reports, and advanced coaching methods. Underpinning the Absolute approach is identifying not only a client's current situation, but more importantly what will serve a client best to progress into the future. In this regard, Absolute Leadership provides clear indicators, helps establish action priorities for clients, and also helps clients gauge when they actually achieve their objectives. 'Knowledge is Power' if You Know How to Use It! Read How Leaders Think... and Act! 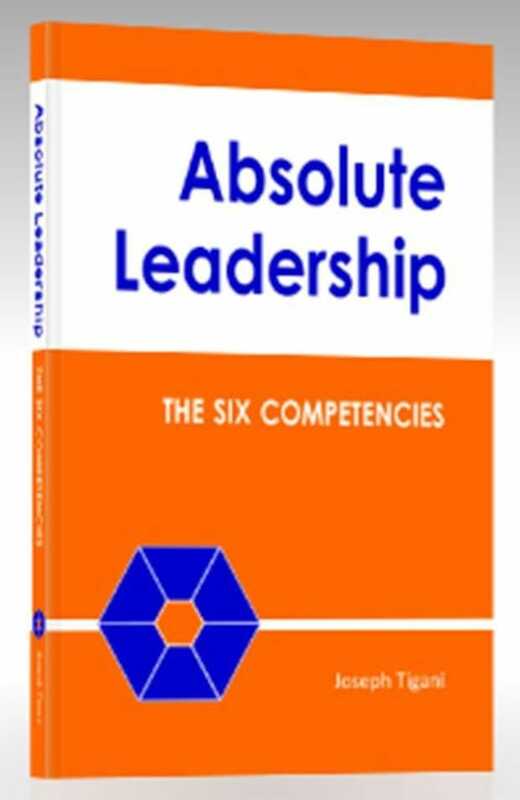 Absolute Leadership: The Six Competencies provides an introduction to the Absolute Leadership framework and has been acquired by more than 20 leading Australian universities. To obtain your copy of this outstanding book, please contact your favourite bookstore, or visit Amazon, or to order directly, please use the contact page to convey your order.